"I'm like, oh man, this is going to blow up and I don't think there's anything I can do to stop it now"
The identity of the "half car seat, half man" who sped away from NBC Washington transportation reporter Adam Tuss in August has finally been revealed, after Tuss caught up with the man whose car seat disguise went viral. 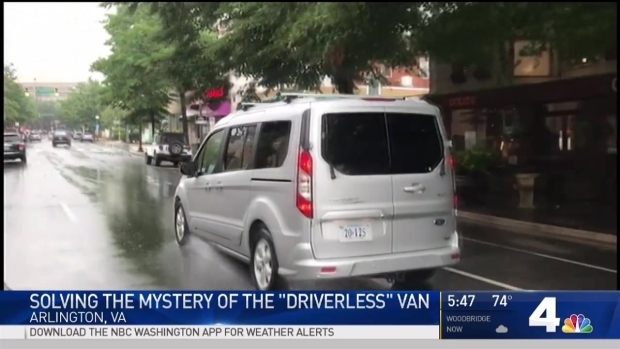 Josh Radlbeck was driving an unmarked gray 2017 Ford Transit Connect that at first appeared to be driving itself around Arlington, Virginia, thanks to Radlbeck's car seat costume. He didn't answer questions when he was approached by News4's Tuss, speeding away and leaving Tuss confused. "Your brain can't get around it for a second," Tuss said at the time. 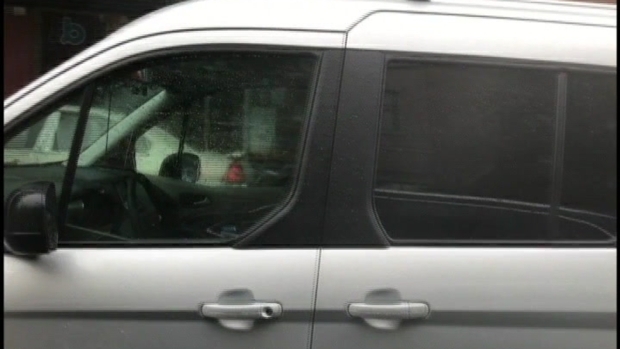 His tweets with video of him confronting the minivan were shared hundreds of times. The driver's seat looks empty on first glance. Then, you see a man inside wearing a driver's seat costume. 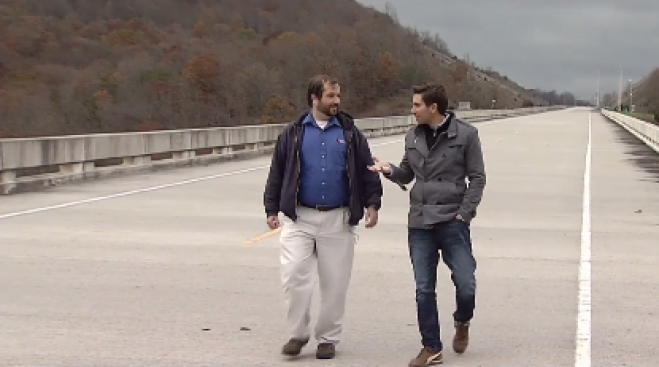 News4's Adam Tuss has this raw video. "Brother, who are you? What are you doing? I'm with the news, dude," he said as he tried to get the man in costume to talk with him. Tuss later learned the driver wasn't a prankster but part of a research project from Virginia Tech, and met Radlbeck this week. Radlbeck now says he was a little bit rattled when Tuss knocked on the van's window, letting him know he was a reporter. "I was pretty stressed out," Radlbeck said with a smile. "Especially after that tweet about running the red light." Tuss tweeted as he broke the story that Radlbeck ran a red light. News4 later confirmed Radlbeck broke no laws as he sped away from Tuss. As soon as Radlbeck saw the reporter, he realized it would be a big story. "I'm like, oh man, this is going to blow up and I don't think there's anything I can do to stop it now," the researcher said in his first interview since the incident. Radlbeck has been studying self-driving vehicles at Virginia Tech for five years. The Virginia Tech Transportation Institute says it's collected 40 million miles of data from real-world driving tests. For now, Radlbeck continues being the "car seat" man, all in the name of research.